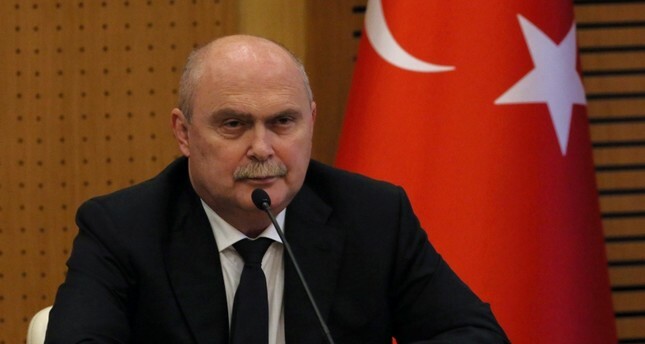 Turkey's permanent representative to the United Nations, Feridun Sinirlioğlu called on Tuesday for an immediate and complete ceasefire that will include the cessation of all military operations in Syria's Idlib. "We invite the international community to vocally and actively support our efforts to this end," Sinirlioğlu told the U.N. Security Council during a session on the Syrian province. The call comes as Russia, Iran and the Assad regime increase military operations in Idlib amid fears of a humanitarian catastrophe there. Sinirlioğlu warned "an all-out military operation would result in a major humanitarian catastrophe. Such an operation would trigger a massive wave of refugees and tremendous security risks for Turkey, the rest of Europe and beyond," adding that no security concern could justify risking millions of lives. "In Idlib, we have to employ different approaches that require time and patience," he said, reiterating that there could be no military victory in Syria. "With all our generosity, we have gone to extraordinary lengths to alleviate suffering of the Syrian people, hosting some 3.5 million refugees, more than any other country in the world. But let us face it: we have exceeded long ago the limits of our capacity," he said. The United Nations warned last week that an operation would lead to the "worst humanitarian catastrophe in the 21st century." Syria has been locked in a vicious civil war since early 2011, when the Bashar Assad regime cracked down on pro-democracy protests, which erupted as part of the Arab Spring uprisings, with unexpected ferocity. Since then, more than a quarter of a million people have been killed and more than 10 million displaced across the war-battered country, according to United Nations figures.